A world-renowned Alberta ski resort faces some legal moguls in a Calgary courtroom Monday over charges it cut down a stand of endangered trees. But an environmental law professor says the rarely-laid charges against Lake Louise Ski Area illustrate problems with how the Species At Risk Act is enforced. 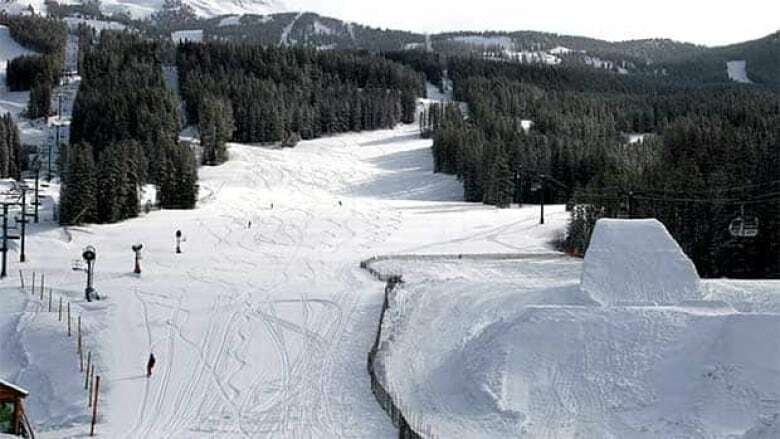 The ski resort in Banff National Park is expected to appear in court Monday to address charges laid after it came to light that in 2013, resort employees had cut down a stand of trees alongside a run that included at least 39 whitebark pine. 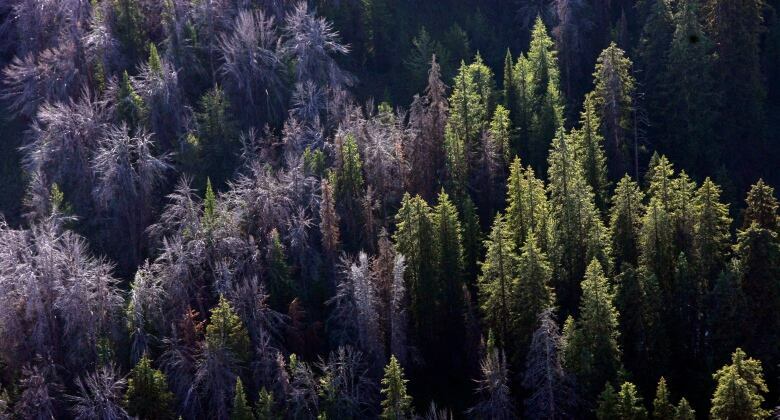 That long-lived, five-needled pine, native to high elevations, is threatened by invasive disease, fire and climate change. It is considered crucial to a high-elevation network of plants and animals, providing both food and habitat and stabilizing steep subalpine slopes. Resort spokesman Dan Markham acknowledges the trees were cut. Workers were conducting routine thinning of trees alongside a run to improve skier safety, he said. Markham said the workers were unaware the trees were endangered. The whitebark pine had only been added to the list the year before, along with a series of other species. "The employees had not been directed by us at that time and there wasn't a permit to do that particular [work]," said Markham. "A month later, when we did our walk-around with Parks Canada, we noticed that it looked like a number of these trees had been [cut]." Markham said thousands of the trees remain within the resort boundaries. Shaun Fluker, environmental law professor at the University of Calgary, said the case is a rare example of charges under the Species At Risk Act actually being laid and going to court — even more so for a plant species. Fluker said Lake Louise has a long history of working with Parks Canada and conducting its operations with appropriate permits. But the rarely-laid charges illustrate problems with how the Species At Risk Act is enforced, Fluker said. The federal law only comes into effect after the damage — often permitted by a different level of government — has already occurred. By the time its provisions can be enforced, it's too late. "The Species at Risk Act only prohibits people from damaging critical habitat or taking members of endangered species. It doesn't actually prevent or stop governments from approving activities that lead to that in the first place," he said. "The federal Species At Risk Act allows for those projects to go ahead and then waits until activity occurs that demonstrates that a species' critical habitat has been damaged. "If you want to protect endangered species, the best and most efficient place to do that is to prohibit state officials from authorizing that activity that is going to lead to that in the first place." Most cases are settled long before they make it to court, Fluker said. "This whole process of prosecuting under [the Species At Risk Act] is very cumbersome." Monday's court appearance comes after a failed attempt by the resort to have the charges stayed. It had argued that they had taken too long to come to court, arguing that the delay in getting DNA analysis pushed it past guidelines laid down by the Supreme Court. In November, a provincial court judge blocked that attempt, saying it wasn't necessary to get the DNA results to know the trees were whitebark pines.